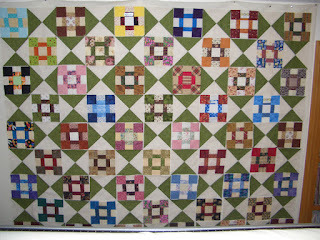 On my design wall this week, I still have the Chunky Churndash blocks. This is pattern is free on Bonnie Hunter's website. The hourglass blocks are now completed and I will start sewing the rows together this week. Hope to have this one completed this week! What are you working on this week? 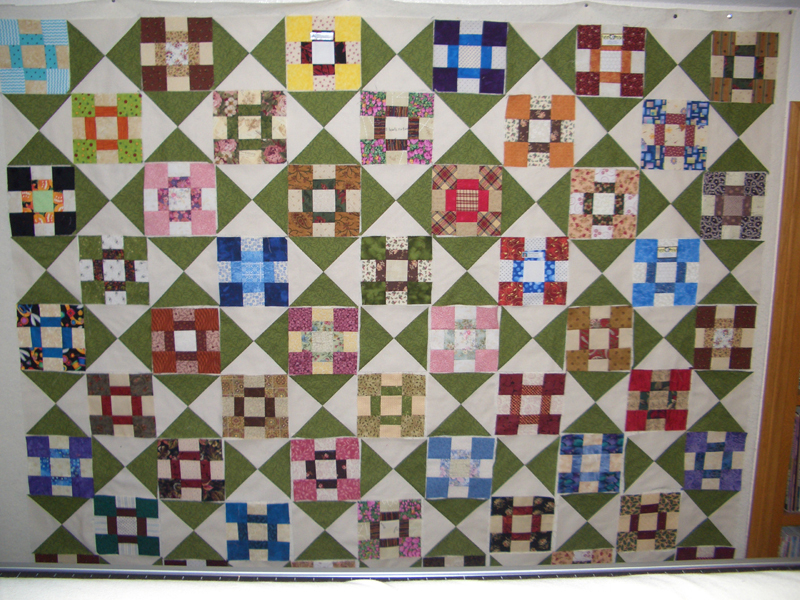 Check out the other projects at Patchwork Times. Love it!! I will have to look for this pattern. Your churn dash top is looking great! Good luck getting those rows together. Nice job Kerry, I somehow thought your hour glass would be red. lol I like it.